January 4th marks the biggest day in the Japanese wrestling calendar. Wrestle Kingdom 13 took place earlier today and featured some of the top stars from all over the globe. One of the biggest talking points of 2019 will be All Elite Wrestling, the new promotion brought together by Cody Rhodes, The Young Bucks, Hangman Page and the Khan family. 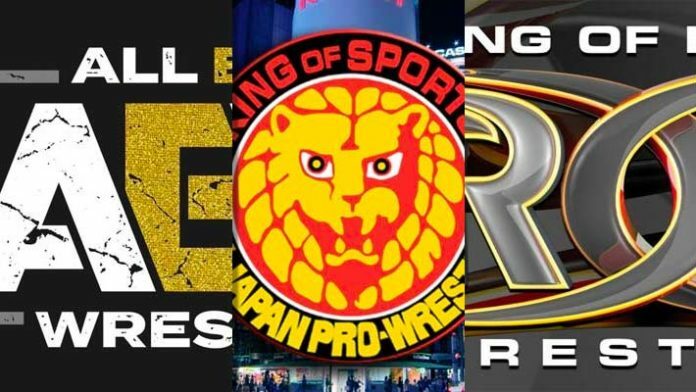 There are several issues pertaining to all three companies ‘working together.’ New Japan has been working hard to develop their presence in the United States alongside Ring of Honor, AEW may well threaten that. Another issue is that Cody, The Young Bucks and Page are current NJPW talent. New Japan finding out that their own stars were looking to establish their own brand may not have sat well with them, however that is purely speculative on my part. Reports have shown that AEW are offering multiple year deals to independent talent and they want to lock them down as quickly as possible. Could the three companies work in conjunction? Possibly. With AEW looking to make a splash quickly it might actually be in their favor to not get in bed with the more established companies and to carve their own path.